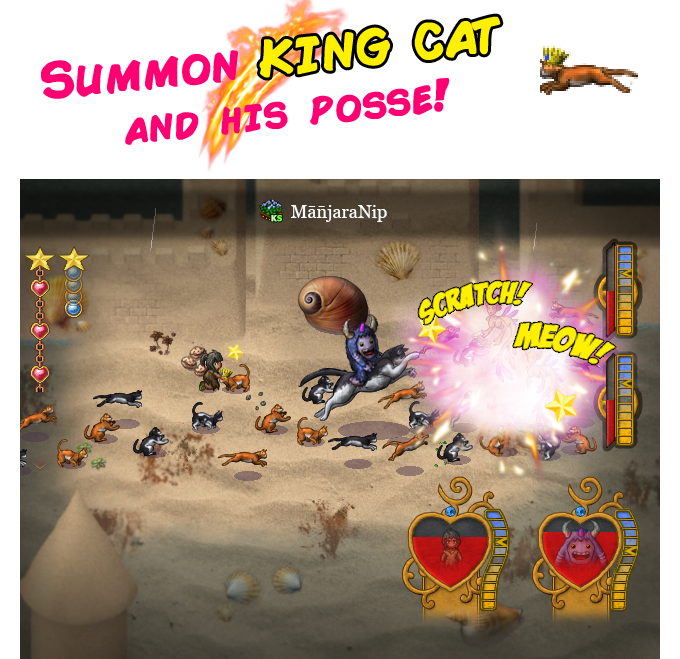 Day 24: Kickstarter Exclusive Item: Summon KING CAT! $10k funded! Partaaaayyy! ＼(^▽^＠)ノ We just SMASHED the big 10k! Thank you all so much for your continued support! In the next 5 days, let’s make it to the finish line together! To celebrate, we are revealing the Kickstarter Exclusive Item that is given to everyone who has backed $25 and above (Secret Level Tier). You can use the same unique code given to you for the Secret Level to unlock this awesome item! Read more about the Secret Level here. ← Day 22: Secret Level Preview – the $25-Tier!